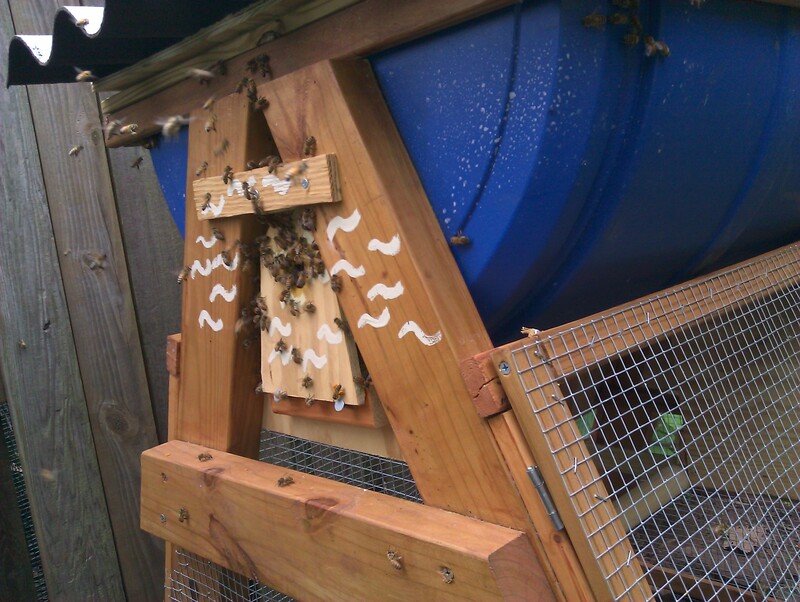 The last few days there have been a very large number of bees flying around the entrance of our Lexington hive (the strongest based on comb development and brood count during inspections). During the day the entrance is covered in bees and the air in front and above the hive is dense with bees. Does this mean the entrance we have is too small or are there just a lot more bees than we are used to seeing because of the rapid growth this spring? One person suggested that it is new bees making orientation flights. Should we leave the entrance size intact or is this a sign that we need a larger entrance for this hive?